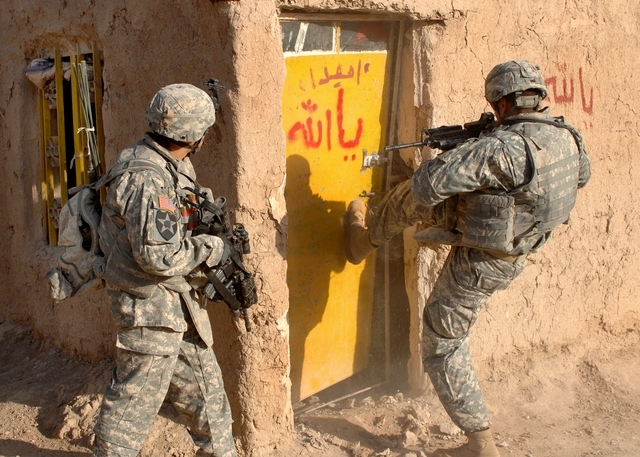 The following pictures show us how doors are opened in a combat zone. 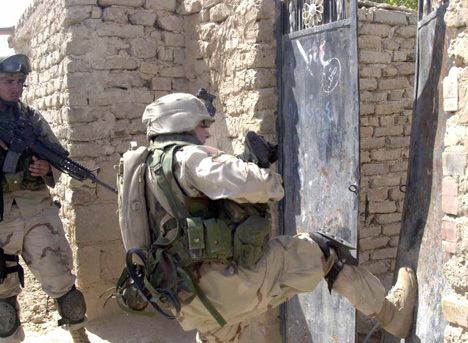 I wonder if–out of habit–doors have [almost] been opened this way once the Soldier is stateside? 😉 A veteran told that simply driving had to be “re-learned” when he returned home. (The middle of the road is how “they roll” on missions in Iraq & Afghanistan as to avoid IED’s as much as possible). My veteran friend said being aware of his surroundings and staying focused was needed until he got used to driving here again; now he and his wife and kids don’t have to take separate vehicles when they go out. (He said that in jest). If anyone reading this has a story of driving or opening/creating doorways, I’d welcome them in the comments. Enjoy! These Images are public domain and I found them via Google Image Search. Marines plant C4 explosives, pop smoke and make their way to the other side of the building. 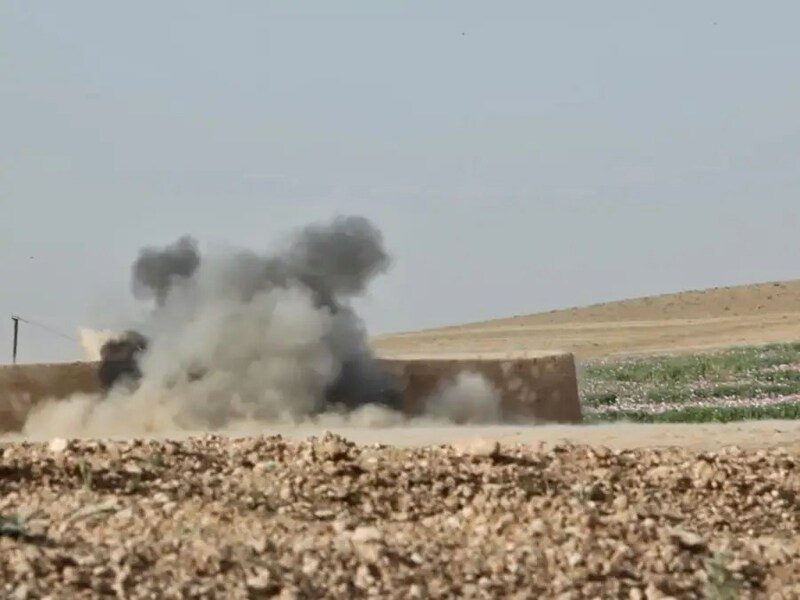 walking through existing doorways is a sure way to trigger an IED. The smoke hasn’t even cleared by the time Marines flood into the doorway. 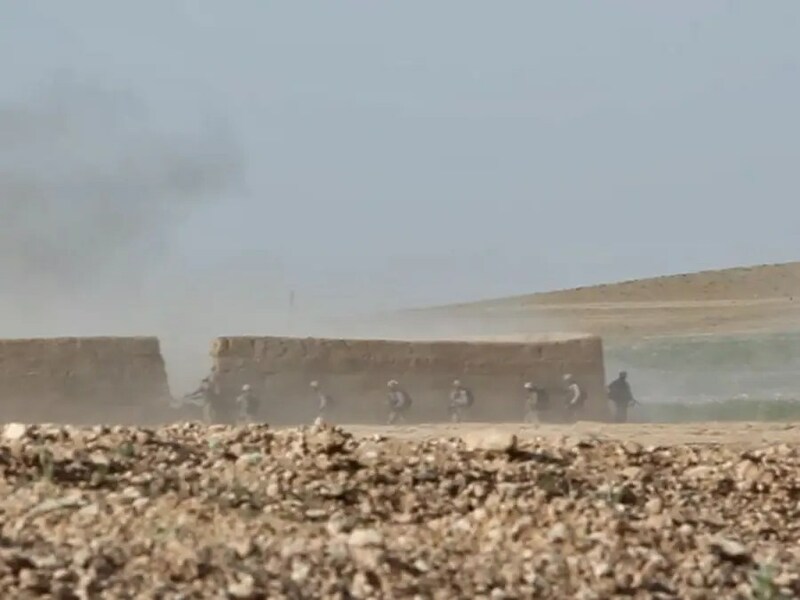 They use the blast and the smoke to add to the confusion of the enemy. 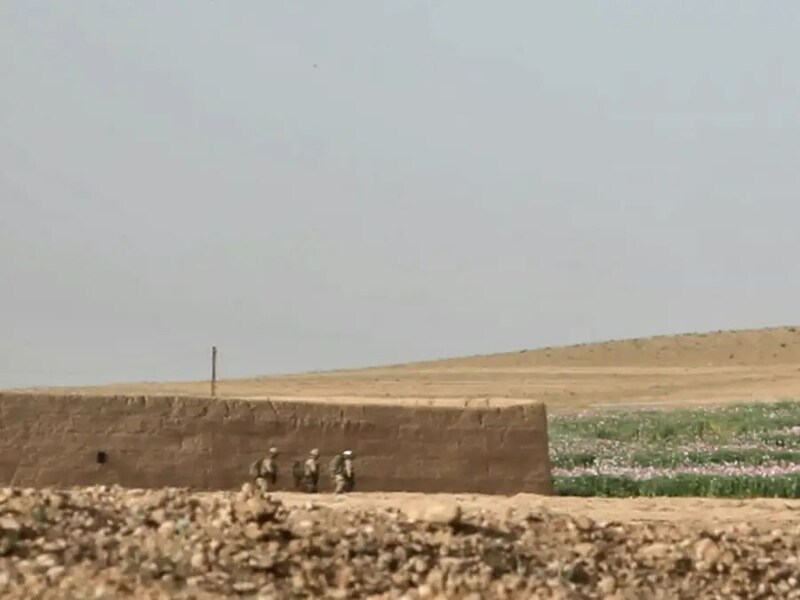 The images of the Marines, via: Business Insider The article is a photo journal of a deadly assault on the Taliban in Afghanistan, there are more great pictures!